My computer died on Monday. I had mentioned that it was being quite unpredictable, though after several tries it would finally boot up, at which point it seemed to be relatively stable. I had some difficulties in the days leading up to my summer vacation in getting it going and it took quite a while to get it working when I returned, so I didn't turn it off for about two weeks. When I woke up Sunday morning, it had crashed. I was unsuccessful at fully reviving it all day Sunday and it wasn't until Monday evening that I could actually get past the startup screen. Unfortunately, it wouldn`t connect to the network, so I pulled the couple of recent files remaining over to my portable drive and tried to restart it. Not only did it never restart, it no longer tried. It was completely dead. I spent Monday afternoon shopping around Akihabara and I`ve found a replacement. I think I got a pretty good deal but it was a special order and it won`t be here until September 8. In the meantime, I could post using Blogger on my iPhone, but it is difficult to write even with my Bluetooth keyboard, and I cant insert photos like I do with a computer. So as you have seen, the blog is dormant until my new machine is up and running. So yes, I am fine, and things are busy but well. But for the next week and a half to two weeks, I won`t be posting anything. So, see you then! While poking around the stamp shop next to the Mint Tachikawa baseball card store, I saw a couple baseball items. The only thing in my price range was this ticket holder from Seibu - an independent train company in the Tokyo area - celebrating the Seibu Lions (see, they own the team!) winning the Pacific League championship in 1983. Train tickets! I paid less than the tickets were worth, though I'm sure they're not valid anymore. And this is more valuable to me as an intact souvenir. It's not in good shape; you can see that there's a rip at the top of the ticket sheet. But I'll take it! If I make my way out to Tachikawa again I'm going to skim through to see what else I can find. Last week, I took a trip to Shikoku for sightseeing and roller coasters. The island has a four-team independent league but I wasn't able to catch any games. It seems that there are three card shops in Shikoku, and I was able to visit two. The first was a pretty successful visit. Hot Box!? (yes, with the exclamation point and question mark) is just north of the tourist attractions, one short block from a tram stop. It's a smaller store in size. Note that I say successful, but by that I mean I found the shop and it carries trading cards. All I bought here were idol cards. They have a few large boxes of singles, and I skimmed through them looking for different interesting cards. They're sorted by model or by set, but I couldn't figure out when they changed the sorting methods. It looks like it happened sometime about 10 years ago. They continue to stock new idol products. Speaking of 10 years ago, some of the idol boxes were so dusty that I think they hadn't been touched in 10 years. There are plenty of NPB baseball card singles, too. These all seem to be sorted by set and card number, and there's a decent selection of the usual suspects like 1st and 2nd Versions, and other pack-based releases. However, I don't think you should go out of your way to find singles at this shop; Matsuyama is out of the way for most tourists and I would expect that everything here can be found at other shops. 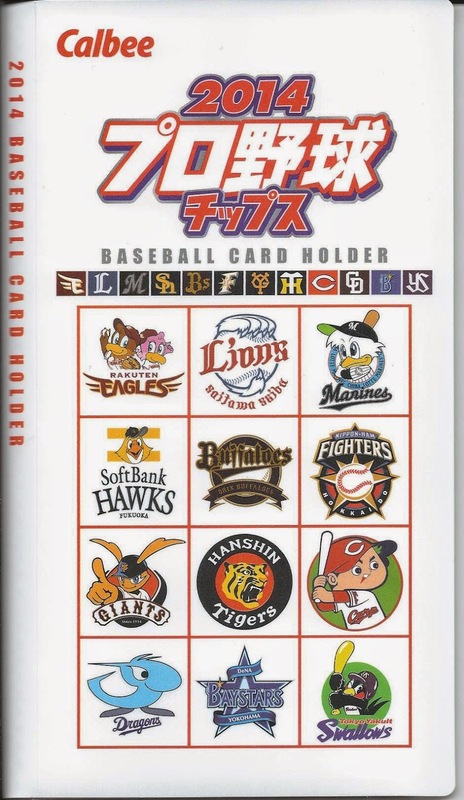 I didn't see any better inserts or older Calbee - very recent Calbee singles were available. Lower-tier inserts are available with the set singles. Hot Box!? also carries packs and boxes of current product; I saw Donruss Series 2 already on the shelf (420 yen [$4.20]/pack). There are some figurines and gaming cards here, in addition to J-League soccer, some NBA, wrestling, and other sports. And in one corner of the store, right next to the door, were several snacks. I get the feeling this store is frequently visited by school kids on their way home, due to the stock they carry (other than idol cards, of course). Prices for singles start at 50 yen each. Note that they charged me sales tax on the singles I bought. This is the only store so far where I've had this experience. NPB packs are comparably priced to other stores - perhaps a little on the high end - but the MLB packs seemed higher than other stores. The shop faces the smaller street on the corner, and there is no large, easily recognized sign. Note the yellow sign on the window in the photo above, identifying the store, and the gaming card posters on the windows and door. The shop is open 11:00-20:00, closed Tuesdays. The guy working when I visited understood very simple English at best though he tried to be helpful. Overall, I was happy with my experience here, as service was friendly and it's a small shop; however keep in mind that selection is limited to the major issues and prices are average to high. If you're living in or visiting Shikoku, this might be your only outlet for trading cards. But while there might be a hidden gem here, I don't think it's worth going out of the way for. I don't get to the Shinjuku branch of Mint very often. It's on the opposite side of Tokyo from me (only Shibuya is farther) and they have a very small selection. However, I can sometimes pick up some cards at a great deal. I rarely see die-cut cards, but this store seems to have a (relatively) decent stock. They have a good supply of parallels (above) and numbered inserts (below) too. This is not the store for set builders, though. Mint Shinjuku is good for those looking for higher end cards, as there are plenty in the cases lining the walls. The discounted parallels and inserts are found sorted by team and seem to be completely random. Single card prices start at 60 yen, and the parallels and inserts can be as low as 100 yen (usually 200 yen and up). The store carries a good selection of current boxes and packs in all sports and some non-sport sets. I've found a good amount of CardGen, though it looks like that's going to disappear in the near future; they also stock Owner's League cards. There's a lot of AKB48 to be found here, too. Prices are average for Japan as far as most cards go, and I'm sure some good deals can be found in the showcases from time to time. The store is located on the second floor of a building just off a main street in Shinjuku. Check the map below for the location. You can enter from the "adhoc" sign you see in the left-hand picture and go up stairs if you approach from the main street on the border of the Kabukicho district. Coming from the station, you can use the same entrance, or enter around the corner;due to a small hill and steps you enter onto the second floor. Note that on the lefthand picture, you can see the sign for the card store on the window (TRADING CARDS.../MINT.../YOUR HOUSE...). The store is open daily 11:00-21:00. I've written about the Urawa branch of Mint twice before. It's time to bring an update. The store still has the same selection of cards. Soccer is still a heavy seller here, and BBM singles for most of the major releases going back to 1991 are kept in stock. As always, sets more than about 10 years old might not be here, or might not have full stock. But for recent releases you'll find all the singles you need. There are inserts as well, including autographs. The ones you see here were clearance-priced at only $5 each, the cheapest I've found yet in Japan. Hopefully some will be left this weekend after I get paid! There are plenty of packs and boxes too, as well as a small collection of idol cards. There are boxes and packs, as well as a few singles, for US card releases (MLB, mostly) and soccer issues. And plenty of CCG cards, mainly of the MTG variety. Prices for most cards are standard - singles are 60 yen each and up, with inserts usually starting around 300 yen. The store is an easy walk from Urawa Station; from the west exit just follow the main street that is perpendicular to the station. You'll need to be on the right side of the street, where you'll pass a CoCoICHI curry restaurant and Saitama Hall. A couple buildings after that, you'll come to an alley before a white-brick building (the sign on the front now says Grand Blue cafe & bar). The Mint sign is on the side of that building in red. Go down that alley; the store is on the right. The store front above is seen from the alley. They recently rearranged the store and it's very difficult to move around inside, especially if you have a larger bag or backpack with you. Some table space toward the back can be used for browsing the large singles boxes, which are sorted by year and set. The station is to the East (right) of the store in the above map. Mint Opa! Orawa is open 12:00-20:00 weekdays and 11:00-19:00 weekends and holidays. 2014 Calbee Series 2 Prizes! This year's Calbee release includes random, pretty rare prize redemption cards that net you a couple gifts. Series 1 featured the 2013 Rookies of the Year, but Series 2 just appears to feature a couple stars. The package includes a card holder with a 2014 designation. Other than the front, the cover is plain; inside are enough spots to hold the full series set. The Series 1 and Series 2 binders are identical. The cards use a magic-motion effect on the front, similar to Sportsflix/Sportsflics. The backs are pretty plain and look almost like the backs of IC cards. Cards are numbered sequentially continuing the first series' numbering. I pulled my Series 1 prize redemption card from a pack/back of chips, but I just bought the redemption card for Series 2 from a store in Nagoya at a pretty good price. I'm curious what Series 3 will feature now! Last year, a six-series set of Disney animated film figurines was released and distributed through the gacha-gacha vending machines. Each figurine comes with a "film cell" frame. With seven figures in each of the six series, there are 42 total figurines to collect. As of this writing, I am missing only one - Alice from Alice in Wonderland, from the third series. I thought I had a full set but I might be mistaken as I can't seem to find Alice. I won't be able to show them all to you assembled, because for now I'm keeping them inside their packages. But each figurine comes with a long slip of paper that, among other things, advertises all the different versions in that series. So you can see what they look like by enlarging the photos below. Note that if you right-click on an image and open it in a new tab, you can usually zoom in even closer than just clicking on the image normally. Set Gallery: 2014 BBM Dancing Heroine "Mai"
I brought you the gallery for this year's Hana set, so here is this year's Mai set. As before, I've included a scan of the back of the first card for each team, so you can see if they have casual clothes or a different uniform. Enjoy! New Release: 2014 BBM Fighters "We Love Hokkaido"